Okay, enough of this suspense now. I came across this jam brand named “Tasha & Girl” The name was intriguing and this made me message them on Facebook for a Collaboration. If you follow me or know me by now will know the fact I’m a total Dessert fan. I can do anything for sweets, chocolates, pastries, desserts, etc. We had a conversation on the Facebook Page. They do not collaborate and have all reviews based on consumers experience. The jams were sent for honest reviews and I have done the same. “Women are the hardest and the most diligent innovators, leaders, managers, and workers, but never seem to get the credit or even the benefit of a doubt. Not just the “Girl” in “Tasha & Girl” but all girls around the country and around the world deserve our respect and equal, fair treatment. We hope we can contribute some small part in changing that. The recipes belong to a woman (for the last century and more), the founder was a woman, the Chairperson of the board is a woman, the investors are women, the workers are women, and sales & marketing team are all women. Woah isn’t this amazing? Tasha & Girl Goal:- “We want people to buy our products because they are tasty, economical, and healthy, and not because they like someone behind it”. Figs & Cinnamon – Dude, the fragrance is awesome, kinda drives me crazy. I’m an Apple Pie Lover forever and this was exactly like being in Heaven after I opened the jar here in Sindhudurg (Something from my town, Pune). I could feel the freshness of the fruit inside, balanced flavor and sticky which is exactly what is required for Pie stuffings. One can roll this in a chapati and have it anytime. Strawberries & Nothing – I can have strawberry anytime. I’ve had strawberry ice-creams and milkshakes but a Jam all alone with strawberries was my thing for sure. I made a milkshake with some local cashews from Vengurla 🙂 and it was divine. I’ve had this with a bread and it was equally yummy on the toast. 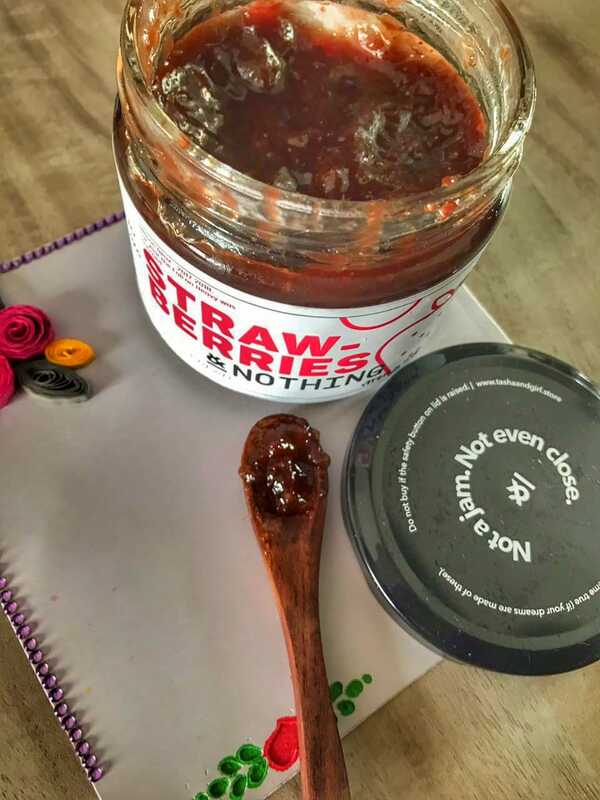 They have crazy combinations which one never ever thought of combining together for a jam, marinades, compotes, pie-fillings. 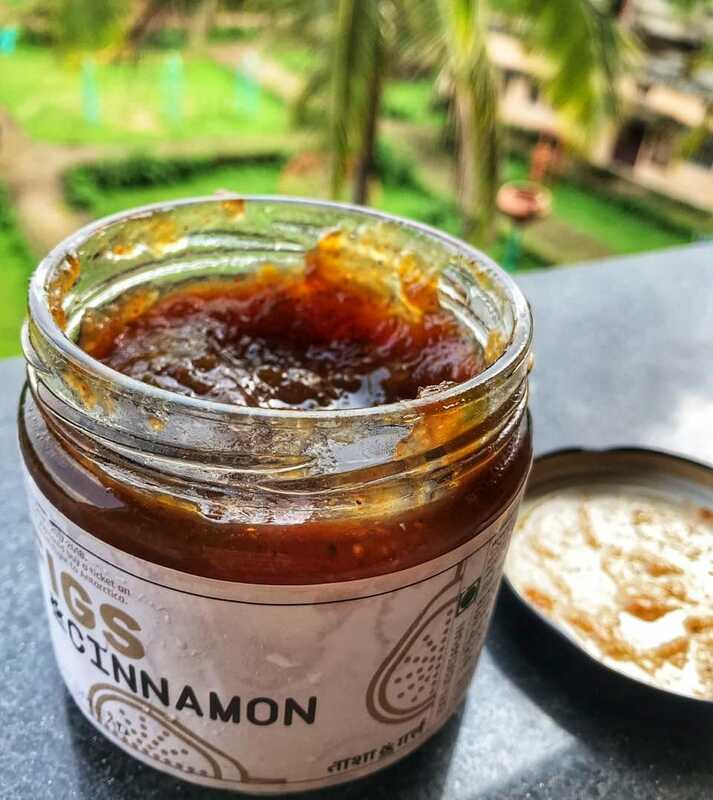 The jams are pure and natural one can easily make out with the fragrance itself, nothing artificial and have been going through a tasting session by the cute 3yr old girl member 🙂 Each year and every season they have a new variant with exotic combinations. The quality is perfectly awesome with no compromises. They are across 100 stores from Pune to Port Blair. Will I purchase it ever again? Hell Yeah! 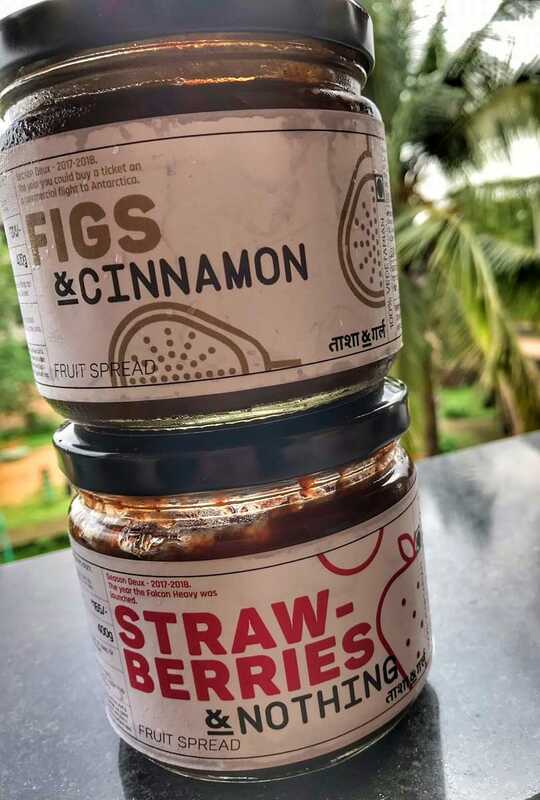 I will be going to Pune for a week in September and will make sure to pick these from one their retail stores for sure 🙂 Do check their website to know more about the brand. These sound really desirable. Will check out their website.